Skipper the Penguin: 2016 Begins Today. Just a little thing I put together. 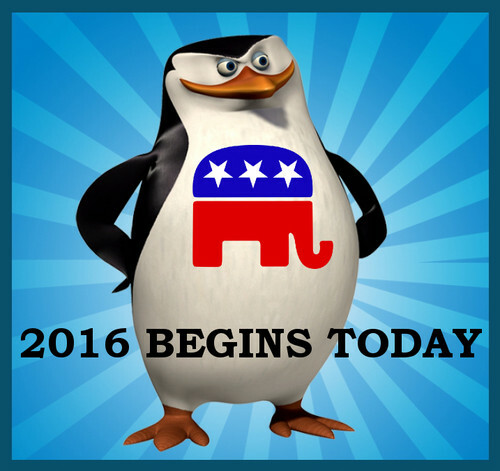 Needless to say, Skipper the pinguino (from "The Penguins of Madagascar") won't be voting for Hillary Clinton in 2016.. Wallpaper and background images in the U.S. Republican Party club tagged: republican gop 2016 2016 presidential election skipper penguin the penguins of madagascar. Just a little thing I put together. Needless to say, Skipper the pinguino (from "The Penguins of Madagascar") won't be voting for Hillary Clinton in 2016.